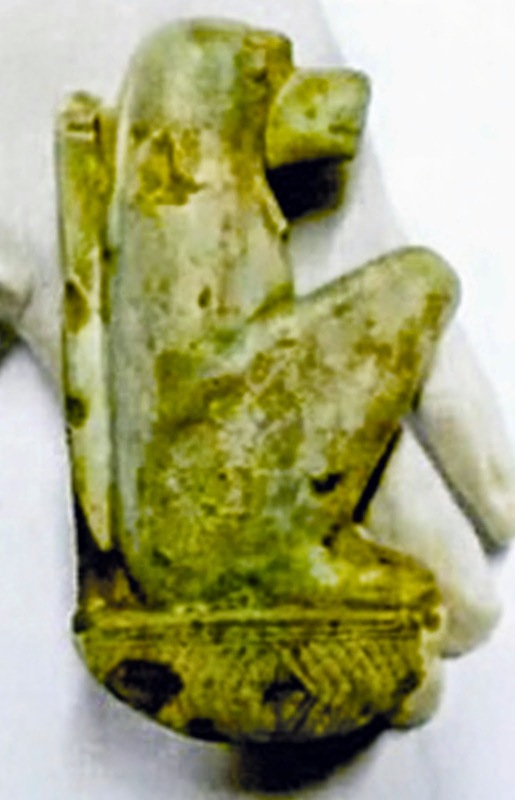 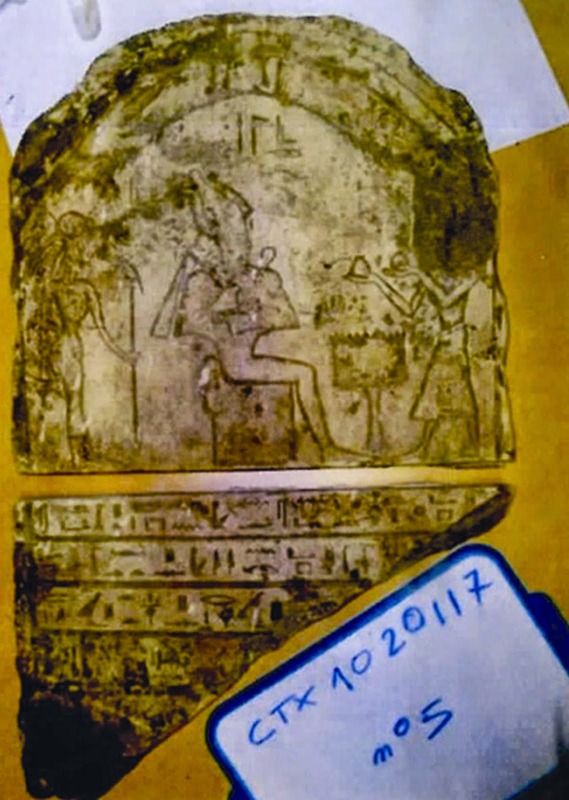 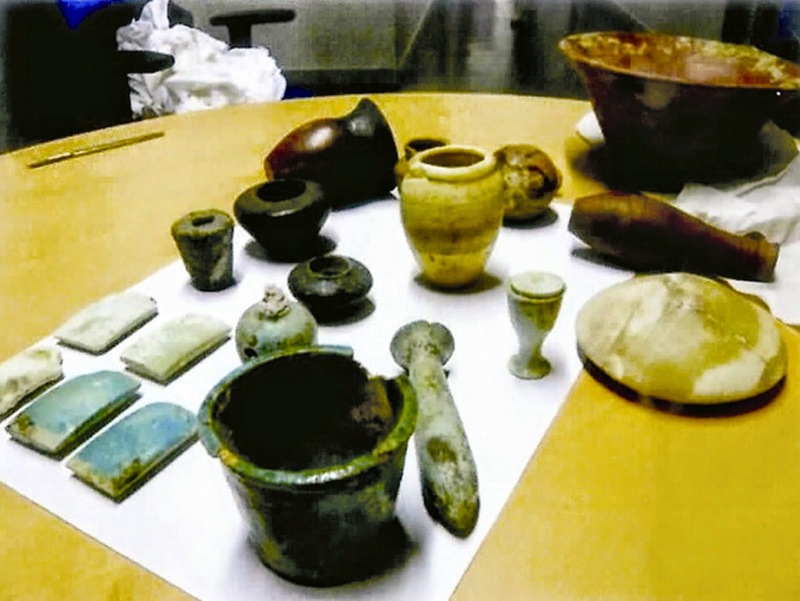 As it was announced back in November 2014, that the French authorities will hand the Egyptian embassy in Paris a number of 239 artefacts which were smuggled out of Egypt. 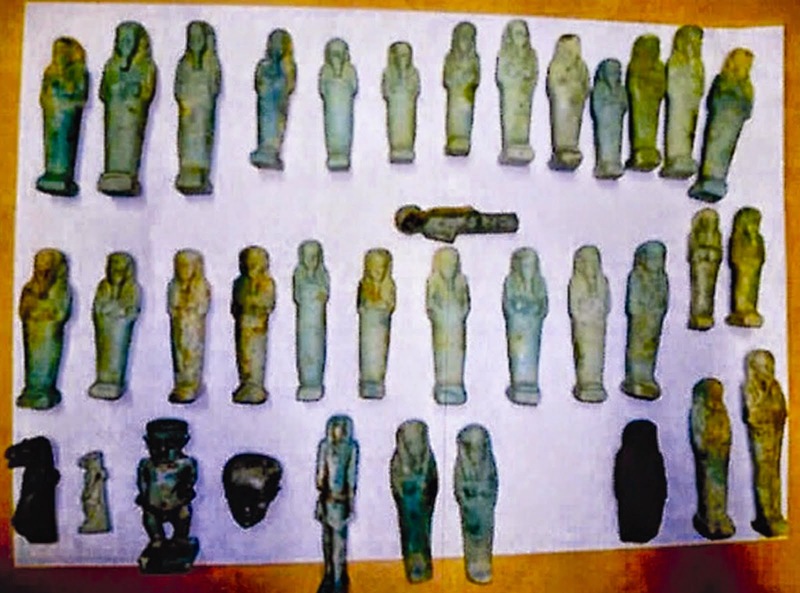 Anyway, the repatriated antiquities arrived to Cairo airport last night and according to Dr. Mamdouh El Damamty, they are 240 not 239. 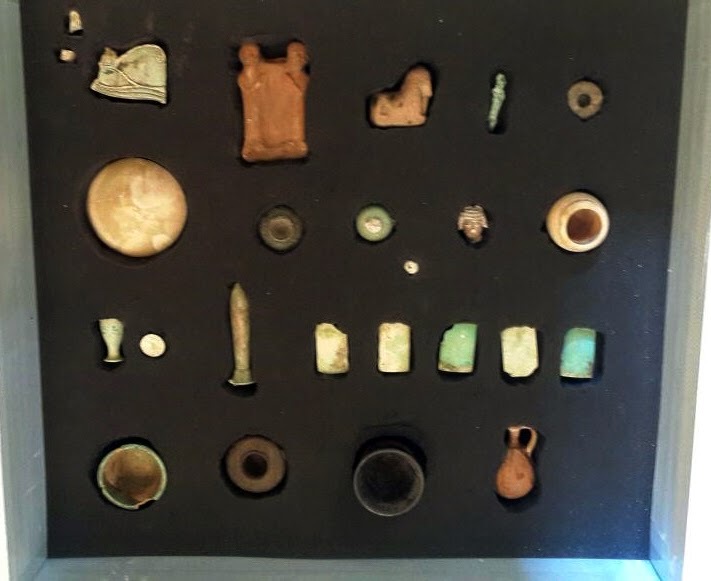 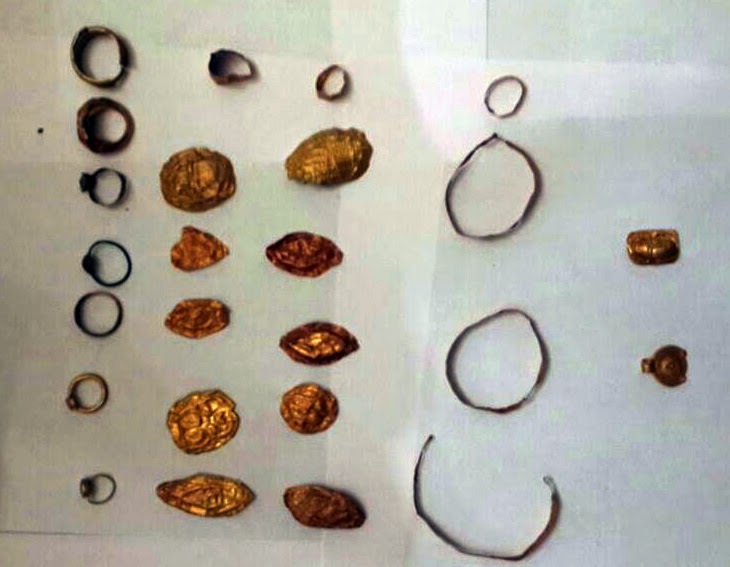 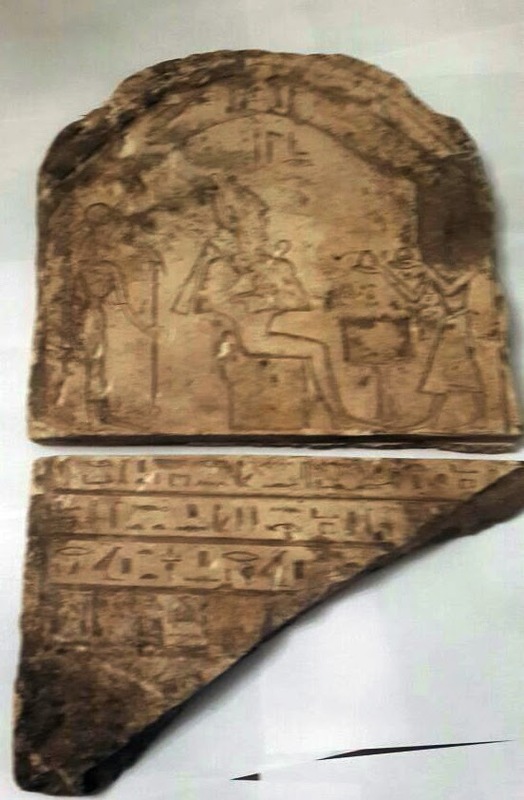 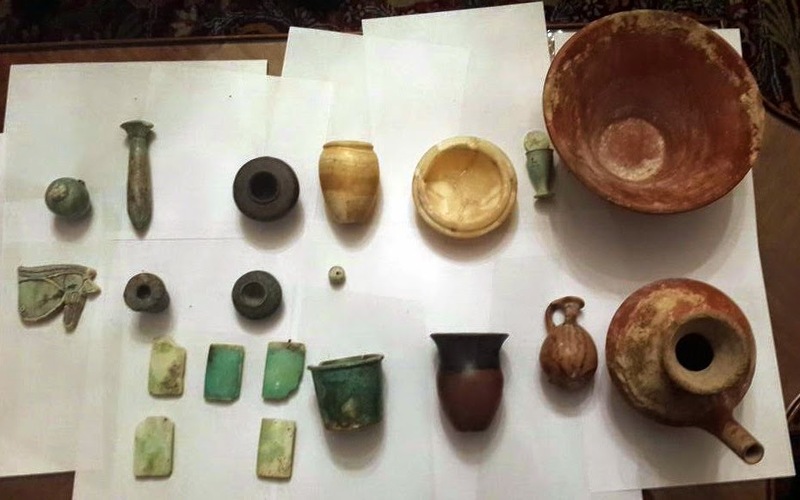 Ali Ahmed, Director of the Repatriated Antiquities department, said “The artefacts are dated to different era of Ancient Egyptian civilization. 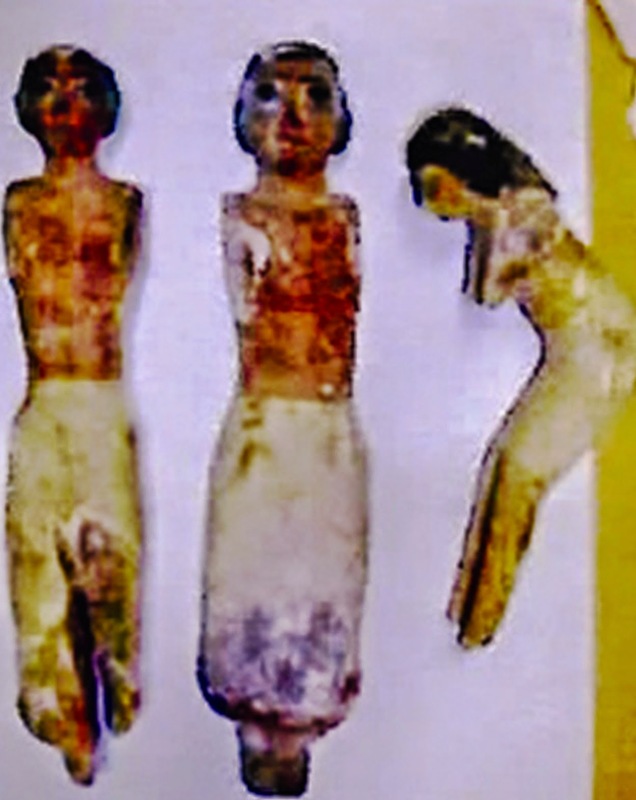 They include; coloured wooden statues of sailors which were a part of a funerary boat model, a limestone tablet showing a scene of offering to Isis and Osiris as well as a number of amulets, Ushabtis, pottery and stone vessels beside Roman, Byzantine and Islamic coins.